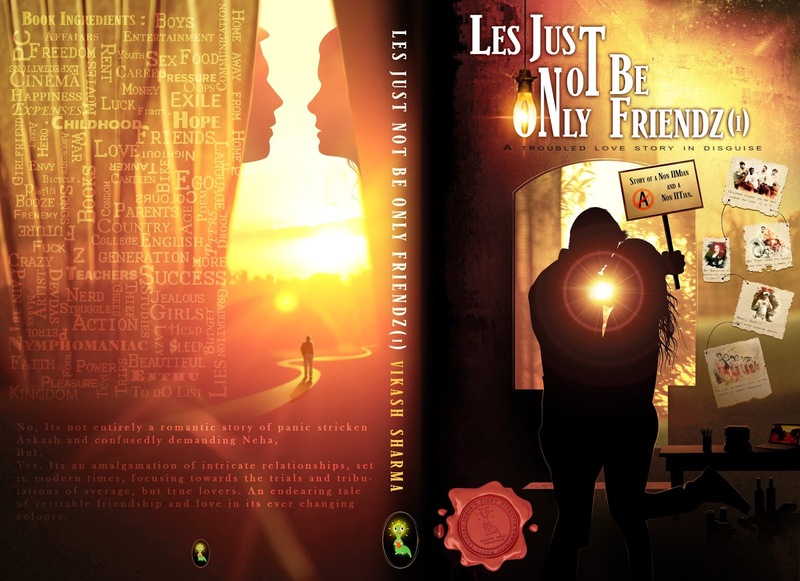 Les just not be only friendz (1) is the first story of what is to be a trilogy and is written by debut author Vikash Sharma. The story is a part of everybody’s life and come to think of it, all the characters are relatable. Aakash and Dhiru’s friendship took me to a time when friendships were more important than ideologies, until you reach a stage where you stand up for what is right. The story is set in NCR and the characters are of similar social-economic background which in the story has been dealt with well. Life in college, life outside college, falling in love, fights in love, friendships, relationships – the story covers everthing in the lives of the people the story revolves around. The second part will give a reader more insight and it would be interesting to know how the plot takes shape. The characters seem to have shades of people the author has known which is evident from how nicely he has gotten inside their skin. While reading my emotions towards the characters started changing from like to dislike and again back to like, time and again. Vikash has a very raw and in your face style of writing which youngsters, specially from non-metro cities would identify with a lot. The story goes in a manner which two people might be conversing or telling a story to each other, which makes it more relatable to Indian youth. Les just not be only friendz (1) is based on relationships and various phases of a graduate student’s life. The novel is set in Noida (NCR) in the time-period of 2009 – 2011. Previous ArticleAre You Active On Twitter But Not Gaining Positive Visibility? This Is What You Could Be Doing Wrong.